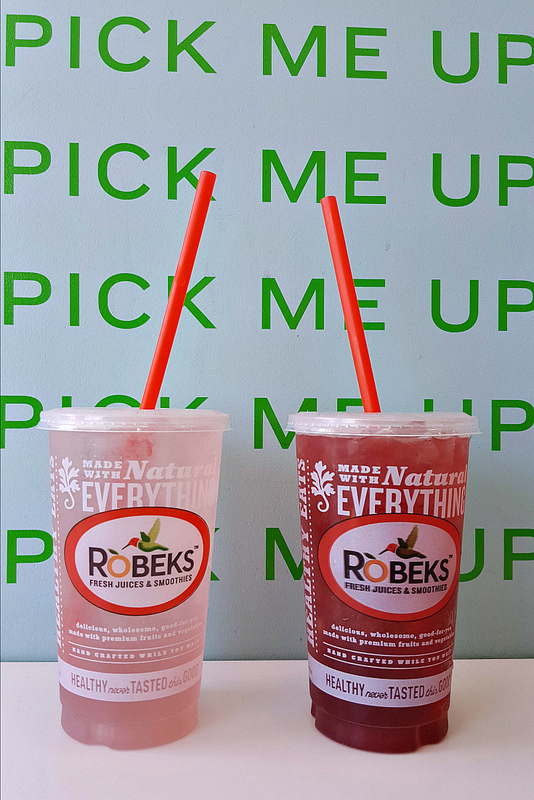 Summer and lemonade go hand in hand and this year you can get floral lemonade from Robeks. It’s only available for a limited time, so you’ll have to get it before it’s too late. 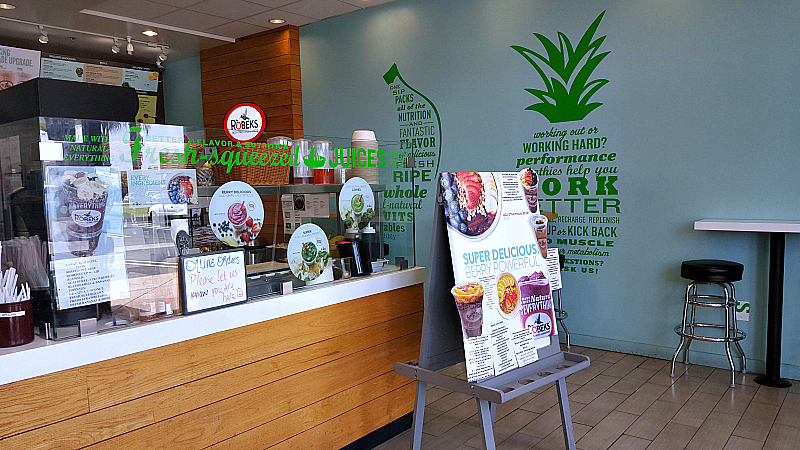 Robeks is a franchise with locations from coast to coast and there are many here in Southern California. However, this was my first time to visit. 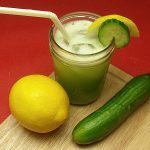 Their regular menu includes smoothies, juice, bowls and nutritious snacks. 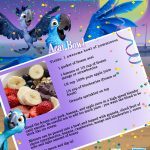 Also, you can add enrichments and supplements to customize the nutrition in your bowl or beverage. The new Summer lemonades are delicious and come in three different flavors: rose, hibiscus and lavender. I’m a fan of hibiscus (jamaica), so that one was my first choice and favorite. 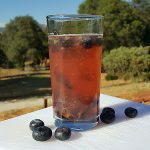 They are sweetened with just the right amount of agave and all three varieties were tasty and refreshing. 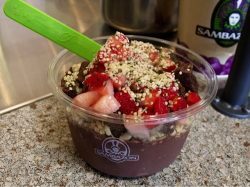 Of course, we also got acai bowls at Robeks. They were made fresh to order and were a feel-good warm weather lunch. I’m not a banana fan, so I asked them to skip the bananas in my tropical mango acai bowl. It was delish, and it was nice that they were open to changing it up for me. There are multiple Robeks locations in Orange County, so it's easy to find one when I'm out and about. This time I went to the one on Harbor Blvd. in Costa Mesa, but next time I may stop at the one in Fullerton. 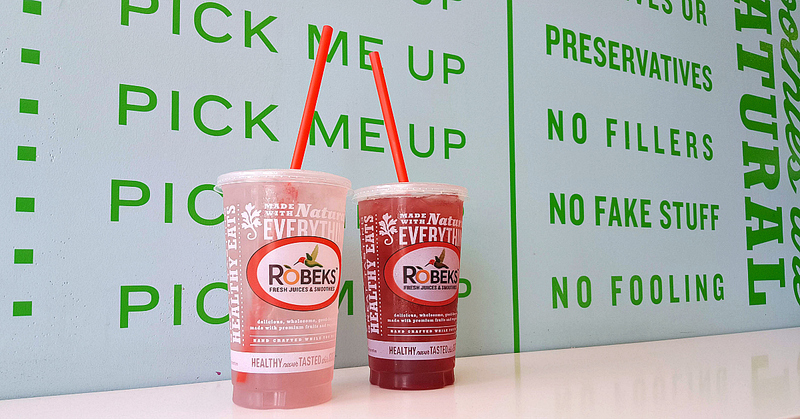 Get your floral infused lemonade at Robeks before it's too late!